Have you been to the hottest new pub in town yet? 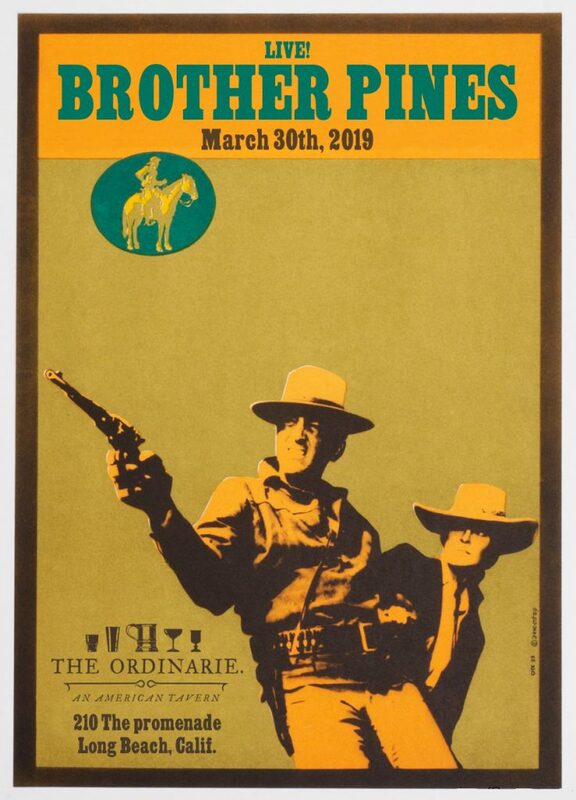 We will be playing at The Ordinarie for our very first time as they are JUST starting to have consistent live music. 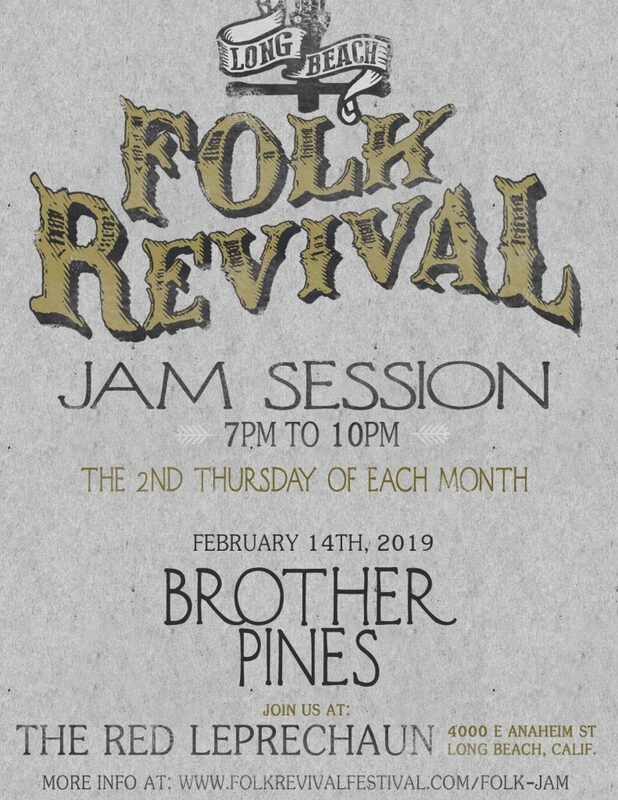 This place is gorgeous, has amazing food, a nice selection of craft beers and we will be there pickin’ tunes for you all night long starting at 9pm! 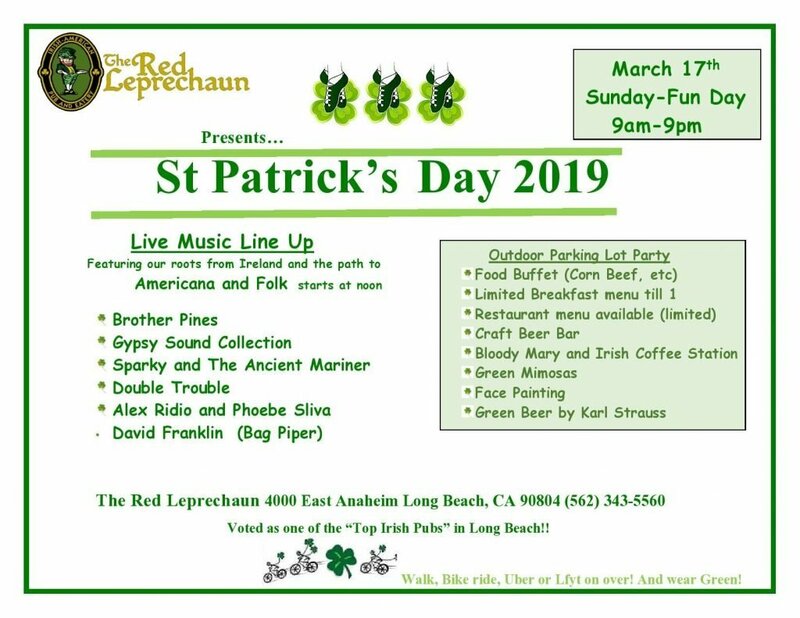 Join us for an epic St. Patrick’s Day party with a bunch of our musical friends at our hometown pub the Red Leprechaun. Inside & outside with hundreds in attendance for good food and good music! Great for the family too. We play starting playing around 3pm, but come hang out all day and celebrate with us. Come on down to LA Ale Works in Hawthorne to eat some of the best barbecue in Los Angeles. LA Ale Works will be host to five of the best BBQ pop-ups in LA. 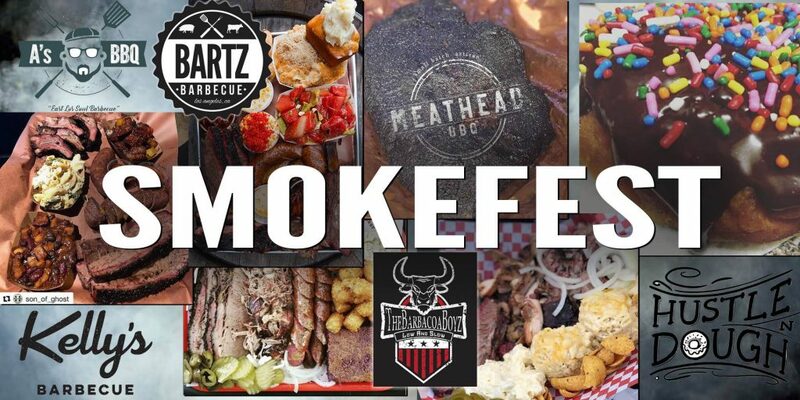 It will feature food from Bartz Barbecue, A’s BBQ, Kelly’s Barbecue, Meathead BBQ and The Barbacoa Boyz. Barbecue meats will include brisket, pulled pork, beef ribs, pastrami beef ribs, pastrami, chicken wings, Beef and cheddar sausage, pork sausage, pork ribs, bone-in pork belly, pork belly burnt ends, tri-tip, and turkey breast. Hustle and Dough will be providing doughnut and dessert for purchase. This event is free to enter but they encourage everyone to get a ticket so they can judge how many people are attending. Vendors will accept both credit card and cash for payment of food. The cost of food varies between vendors. The event is for all ages, kids and dogs are welcome. Los Angeles Ale works will be making limited special beers for the event. Also games of Giant Jenga and Giant Connect Four will be available to play. Join us at the @theredleprechaun on 2/14 for dinner and music whether you are single, already hitched, or recently got ditched! Valentine’s Day Show at the Red Leprechaun! A tragic (and fun) story about how not to waste good corn liquor! A great song by the Del McCoury Band and one of our new favorites to play. 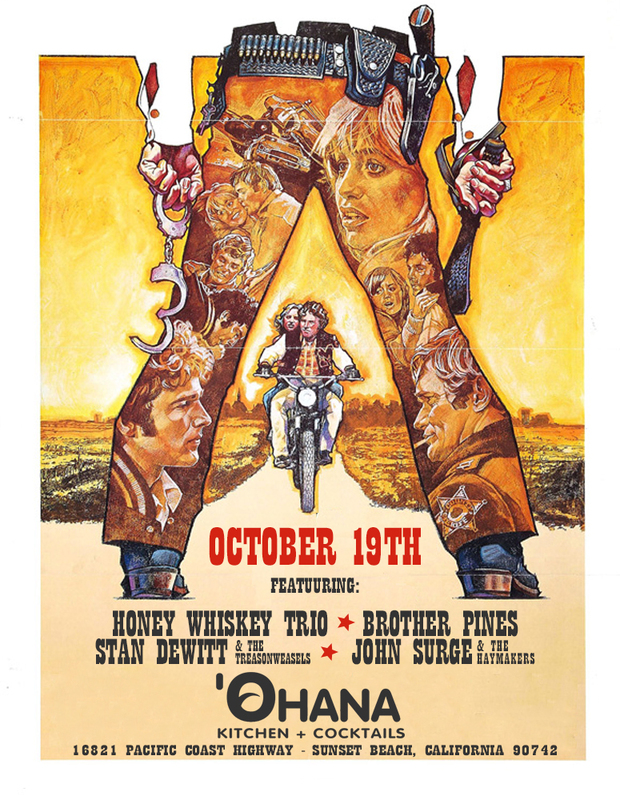 We are playing for our first time at Ohana’s in Sunset Beach. If you noticed we had to cancel the recent show with this same lineup that was at the now closed Broken Drum. A great night of Americana & folk tunes! We are playing Buskerfest 2018! 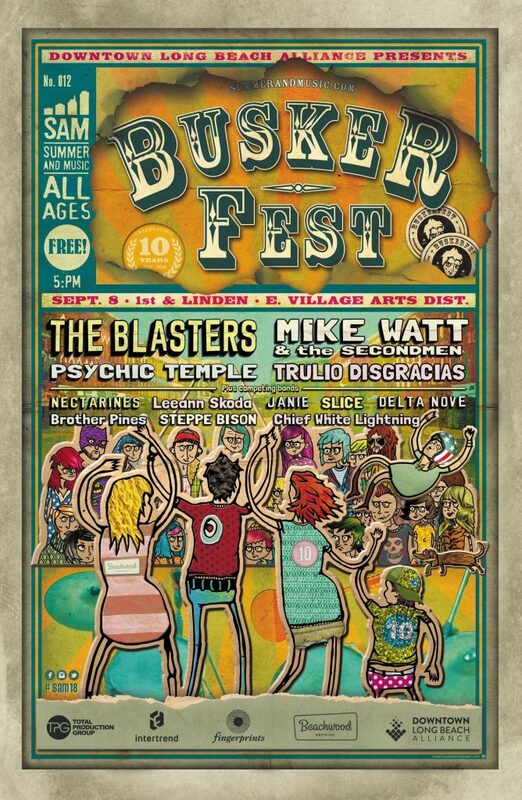 We got invited to play the 10th annual Buskerfest here in Long Beach and we couldn’t be more thrilled about it! Get those wooden nickels out folks and join us for an unforgettable night in downtown Long Beach! Live Recording Session For Our First EP! 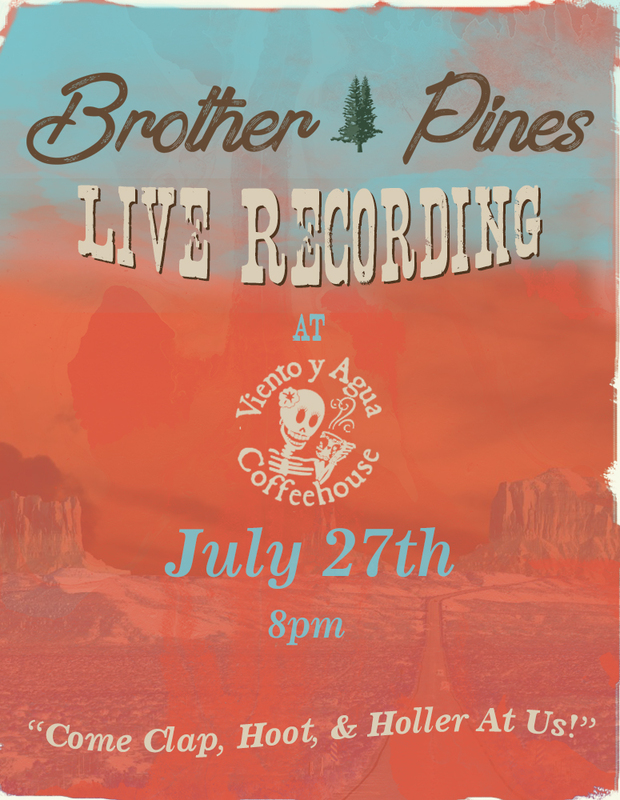 We finally decided to get some of our songs recorded and we are holding a LIVE Recording Session at our show at Viento Y Agua! Come out and clap, hoot, and holler at us as we record the night for our very first EP with some of your original favorites like “Down Along The California Coast” & “Back In The Day”!